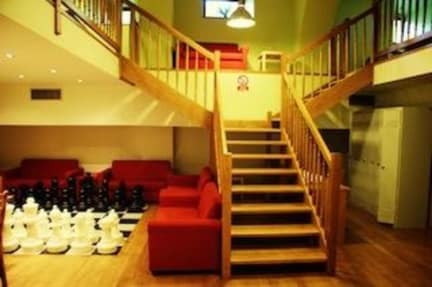 Stary Pivovar Hostel & Hotel, Praga, Czechy : Rezerwuj teraz! Accommodation capacity of our property is 40 beds in 10 rooms, some of them are decorated with mosaics and original stone walls. The Hostel & Hotel is easily accessible for handicapped guests and there is some rooms designated only for handicapped guests with special needs. There is free parking and internet. Thanks to it's location we are easily accessible.